Hand Delivery City Wide Delivery in Winnipeg - Any Area All the Time. To continue to offer the best service we will send your order for you. Place your order on our site and we'll connect with a trusted florist whose style and service is similar to ours. The $17.99 service fee will cover delivery in your chosen area. For us to deliver your order the same day, it must be placed before our cut-off time, 1pm. 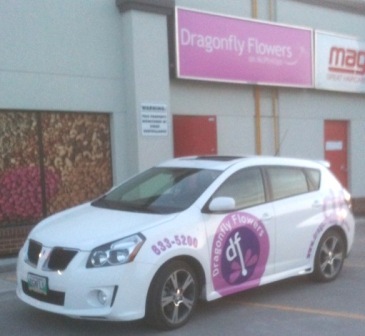 We deliver flowers daily to all Winnipeg Area Funeral Homes. We deliver flowers daily to all Winnipeg Area Hospitals: FREE DELIVERY TO SEVEN OAKS HOSPITAL! We deliver flowers daily to all Winnipeg Hospitals and Personal Care Homes. 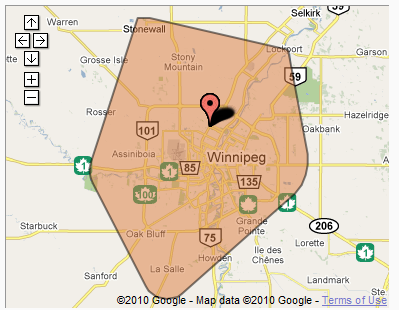 Some of the other Local Winnipeg Areas we deliver to Daily!